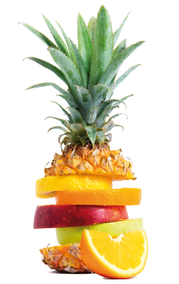 Fuel for the body - helps to replenish minerals and vitamins during and after sports and physical activity and for fast 80% pure protein powder for low carb nutrition and enhancing muscle growth. 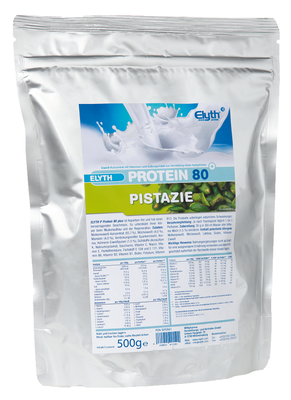 ELYTH Protein 80 Plus is low-fat, aspartame free, easy to digest and has a great taste. Molkeneiweiß-Konzentrat (46.5%), Milcheiweiß-konzentrat (42.5%), Mandelgrieß (4.0%), Verdickungsmittel (Guarkernmehl, Xanthan), Aroma, Hühnereieiweißpulver (1.0%), gehackte Pistazien (0.5%), Süßungsmittel (Natriumcyclamat, Acesulfam K, Saccharin), L-Ascorbinsäure, Emulgator (Soja-Lecithin), Nicotinamid, DL-alpha Tocopherylacetat, Calcium-D- pantothenat, Farbstoffe (E 141), Riboflavin, Pyridoxinhydrochlorid, Thiaminmononitrat, Pteroylmonoglutaminsäure, D-Biotin, Cyanocobalamin.